ANASCO is your one stop shop for ARPAC packaging solutions. 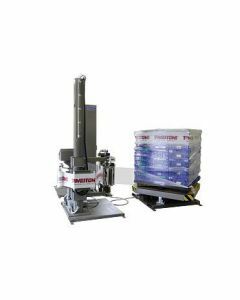 They manufacture shrink bundlers, multipackers, horizontal shrink wrappers, corrugated tray and case erectors, box formers, corrugated board tray and case packers, pallet stretch wrappers and pallet stretch hooders. All ARPAC machinery is manufactured, serviced and supported in the USA. 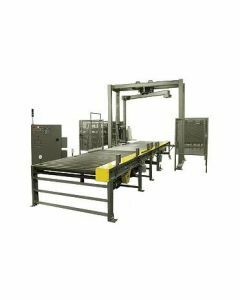 Because many customers have diverse packaging requirements within a single production line, ARPAC is often asked to integrate one packaging machine with another. 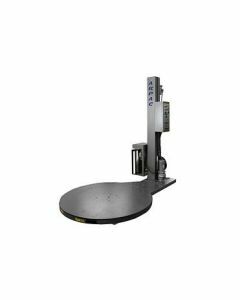 ANASCO will act as a consultant with you utilizing ARPAC equipment to help you design entire packaging lines. Consider the breadth of ARPAC’s packaging experience developed with over 20,000 machine installations. This expertise is not easy to come by that's why ANASCO partners with ARPAC- we know machines! ARPAC packaging machines are capable of wrapping everything from toothpaste to tool sheds. 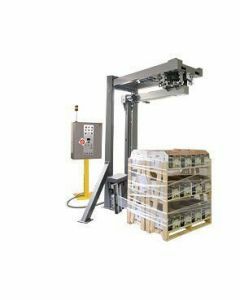 Typical machines include high-speed tray loaders and multipackers for the food and beverage industry, collating/ stacking/wrapping systems for bottles, cans, boxes and jars and stainless steel machines for dairy and pharmaceutical products. ANASCO is a localized distributor supported by an ARPAC regional sales manager in every territory we operate in. Being an ARPAC RSM means ANASCO is an industry veteran charged with supporting our distribution channel and assisting on customer calls. The ANASCO and ARPAC team will work with you to find the best packaging solution for your product. We will evaluate which is the right package for you. We will work with you to enhance your productivity, the marketability of your product which means business for you! IF YOU DON'T SEE WHAT YOU NEED BELOW CALL ANASCO TODAY FOR A FULL LINE OF PACKAGING SOLUTIONS FROM MANUAL TO COMPLETELY AUTOMATED SYSTEMS!